Bahian Carnival is held annually in Bahia, Brazil. This carnival usually lasts 6 days, for 16 hours each day. The most famous performances in this carnival are Trios Elétricos and Bloco Afro. Bloco Afro is a percussion show featuring the rhythms of samba and reggae music. Trios Elétricos are modern music shows featuring renowned Brazilian singers. They are held on big trucks that drive around the city. Recife and Olinda are two cities in the region of Pernambuco in northeast Brazil. The Pernambuco Carnival is held in both of these cities. In Recife, Carnival is much more music oriented than other cities. The Galo da Madrugada is a big parade, that turns into the largest bloco (Carnival block party) in Brazil. The peak of carnival here is on Monday night when people gather to perform a traditional slave ceremony. In Olinda, Carnival lasts a week and a half! It is synonymous with the parade of statues. Frevo music is what’s heard at this Carnival, rather than samba or reggae like most of the other carnivals. As in other cities, Sao Paulo has samba contests during Carnival. But because Sao Paulo is the birthplace of the samba, this is also the focus of the celebrations. The main days of Carnival in Sao Paolo are Friday and Saturday. Another unique thing about Carnival is that during it, some bars and other entertainment places require you to dress according to the Carnival theme. Check out our best short term travel medical cover here at https://www.gninsurance.com/international-travel-health-insurance-plans/all-short-term-travel-plans/ that will cover you on your vacation over to Brazil and actually anywhere outside the U.S. Or call one of our international medical insurance specialist at 866-636-9100 (toll free) or here at 480-633-9500. Our office is in Phoenix Metro (Gilbert to be exact) in the great state of Arizona. 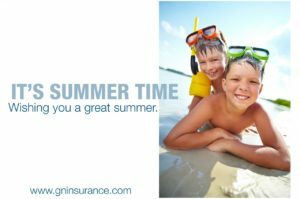 You may email our international insurance specialist here at info@gninsurance.com with any questions pertaining to any travel medical insurance plan or other request.